When I left for work today the sky was overcast and the air was warm, even though it was quite early. I had received a weather warning on my cell phone. A tornado watch was in effect for my area. Of course, that meant that conditions were favourable for the forming of a tornado. Honestly, I couldn’t tell that. Even though it was cloudy, it looked just like an average rainy day with no apparent dangers. But that’s the different between me and the good folks at the National Weather Service. I was just looking around with my normal, human eyes at the situation. They were looking at a host of various measurements taken from the atmosphere, coupled with sophisticated radar systems. They know what’s likely ahead even when I am not perceiving it. They don’t keep all that information to themselves, either. When there’s a danger approaching, they give a warning. After that, it’s up to me to heed their warnings. I thought about something earlier today. I’m looking at things from a human perspective. He’s looking at things from His perfect, all knowing perspective. Through the reading of His word, through prayer and His word to my heart, I am warned of the dangers and temptations that come over the horizon like stormy, threatening clouds. Even so, it’s up to me to heed God’s warnings. A gray day could mean much more than a gentle rain…. 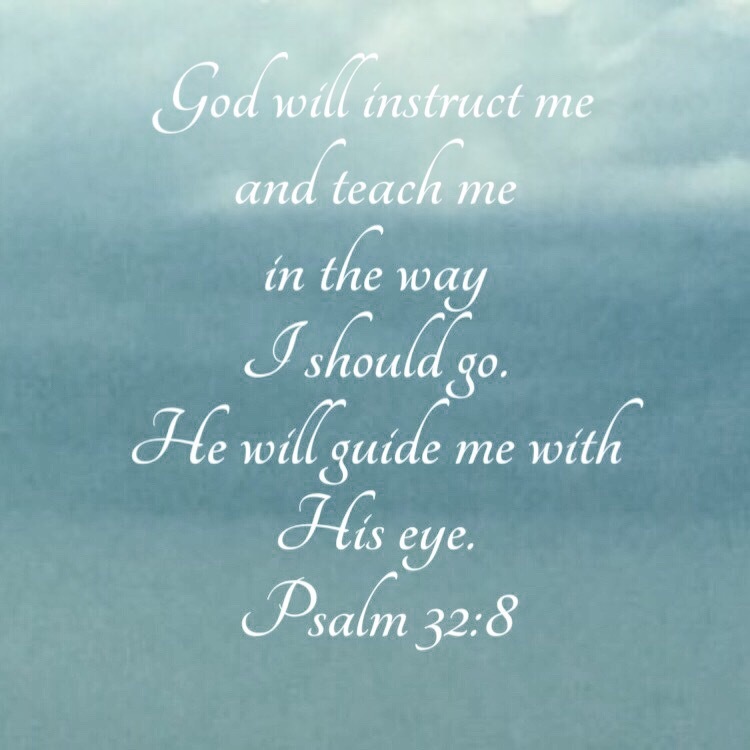 God will instruct me and teach me in the way I should go. He will guide me with His eye. This entry was posted in Bible verses on photos, clouds, Inspirational photography and tagged danger, guidance, storms.